St. Martin's Griffin, 9780312607296, 288pp. Acceptance by a top college is more than a gold star on a high school graduate's forehead today. It has morphed into the ultimate "good parenting" stamp of approval--the better the bumper sticker, the better the parent, right? 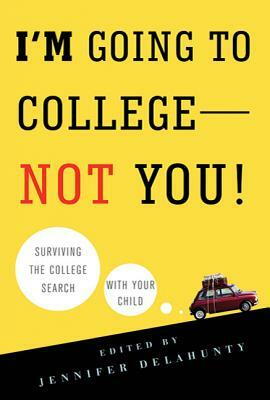 Parents of juniors and seniors in high school fret over SAT scores and essays, obsessed with getting their kids into the right college, while their children push for independence. --how can a parent be less of a "helicopter" (hovering) and more of a "booster rocket" (uplifting)? --what do you do when your child wants to put off college to become a rock star? --how will you keep from wanting to kill each other? Jennifer Delahunty has been the dean of admissions and financial aid at Kenyon College since 2003 and has worked in higher education since 1982. Her writing has been published in The New York Times, the Cleveland Plain Dealer, and the National Association of College Admissions Counselors Journal. She attended Carleton College in Minnesota and the University of Arizona, from which she earned both her BA and an MFA in creative nonfiction. She lives in Gambier, Ohio.